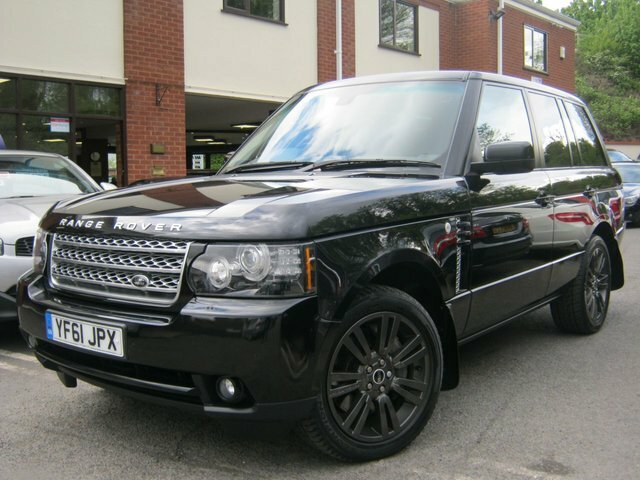 Words cannot decribe how lovely this stunning 2012 Rangerover Vogue 4.4 TDV8 Auto really is! with a genuine 70,000 miles from new and FSH it comes with what must be every available option you could have! these include full factory sat nav and bluetooth phone prep,Digital TV,Harman Karden Hi-Fi,electric glass sunroof,Xenon headlamps with washers,electrci memory seats,reverse camera,front and rear parking sensors,cruise control,climate control,auto lights and wipers,newer command shift gearbox,fully back lit digital dash board,20" anthracite alloy wheels,privacy glass,heated rear seats,heated steering wheel,folding mirrors plus loads loads more,100% the best you will find anywhere!!! Get the best deal on a used car for sale in Worcester by making your way to BJH Motors and Sons today. You will find every available model listed here on the website, and as all our stock is competitively priced you should have no problem sourcing a pre-owned to suit your budget. Take the opportunity to browse our current range online before contacting a member of the showroom team to find out more. Our friendly and knowledgeable staff will be more than happy to answer any questions and provide advice and guidance when necessary. Alternatively, why not pay a visit to our showroom in person and take a closer look at the selection of used models for sale.